​​To expedite pump repairs, L.O. Lynch stocks a large inventory of pumps, motors, electrical controls, pipe, wires and various other parts. Our service trucks are always stocked to be able to repair a pump system on the first call; saving our customers downtime and money. We take pride in training our staff to treat customer needs with speed and consideration that is deserved as a valued customer. We find and train quality individuals that represent our standards of quality, service and knowledge of our water well systems. We will not settle for anything less than the best. Once your water well has been drilled, constructed and a supply of water has been obtained,L.O. 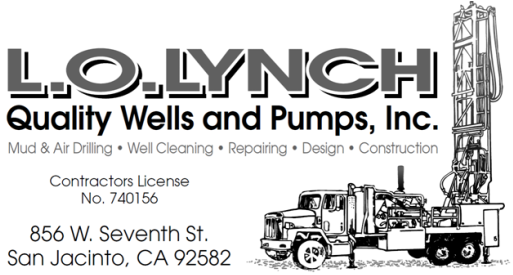 Lynch can design and install a quality water pump system that matches the well with the volume and press requirements of your home or business. 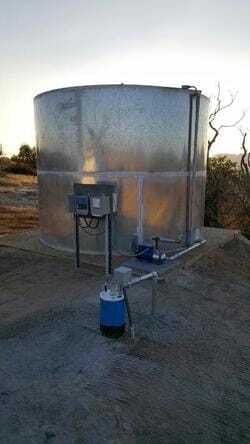 ​Well pump systems typically include a jet pump or submersible well pump (or booster pump), a water tank and pressure switches to control the flow of your well water. Depending on your well design including whether you have a shallow well or deep well, L.O. Lynch will help determine whether a submersible well pump or jet pump may be the best solution for your system and if you need a booster pump. ​​Proper design of your water well pumping system is critical to maintaining a consistent flow and pressure of water as well as having a system that will last a long time. We are one of the most experienced well drilling companies in Colorado and can provide water well drilling and pump system design and installation for all types of wells and applications. Trust the pros at L.O. Lynch to get your well water from the well to your drinking glass.